Today is a hodge podge of things I want to talk about–a sort of set of mini-blog posts. Ummm, so I’m not as disciplined as I should be. There are so many tasty gluten things out there! We have successfully been eating only gluten-free food when we’re home. So that’s good. But there are so many little tests when we’re out with others. I guess that’s okay. We are debating cutting gluten completely for 21 days and then reintroducing to see if we have any actual adverse effects from eating gluten. But whether we do or not, we will continue to keep minimizing gluten on the understanding that, like most Americans, we probably generally consume too much. We are working on selecting a start date for that 21-day thing. We are going to someone’s house we don’t know well for dinner on Friday, so maybe we will start 21 days on Saturday? That way we won’t inconvenience our hosts. Put the olive oil in the rice cooker. Swirl around until the sides and bottom are coated pretty evenly. (This helps tremendously with clean up later–seriously. We do it for any grains that go in the rice cooker). 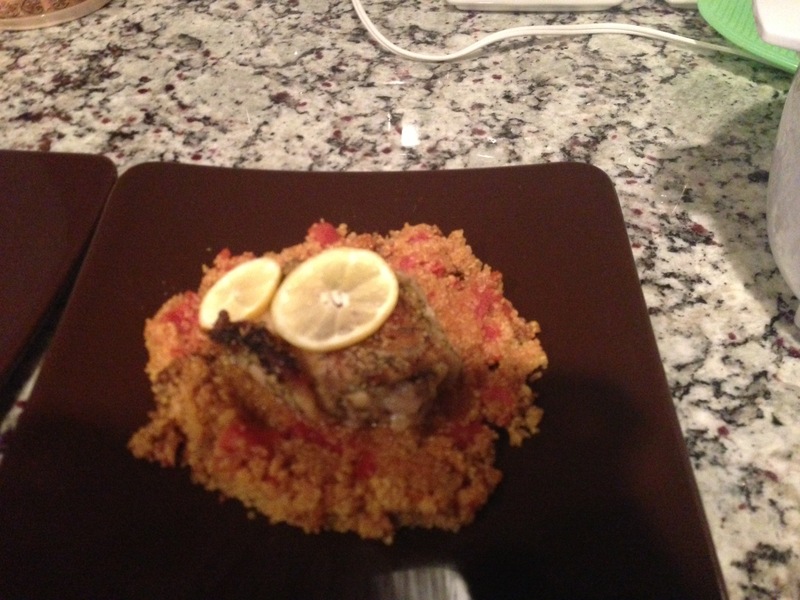 Dump in quinoa. Dump in full can of tomatoes (don’t drain the can). Add 1 c. water. Turn on rice cooker. When the rice cooker pops, fluff and let stand (with the lid on) for about ten minutes. Enjoy. So, DH loves me. Before we knew we were infertile, I was constantly designing and redesigning our nursery in my imagination. The last theme I had settled on before our diagnosis involved hot air balloons. The reasons for this are probably apparent (who doesn’t love hot air balloons?). After our diagnosis, hot air balloons came to symbolize–to a certain extent–our hope for a baby. I may or may not actually decorate the nursery with them. 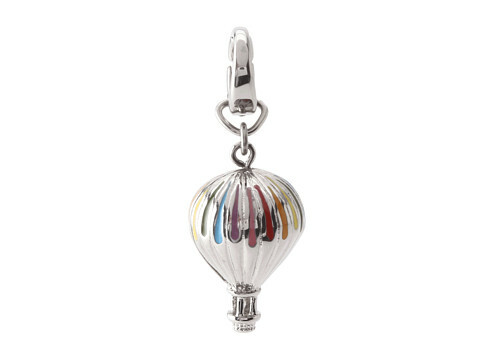 But for my birthday (last week), DH got me a beautiful hot air balloon charm (from Fossil) that I wear on a necklace. It’s our little way of saying we haven’t given up hope. And it’s pretty. Other people can see it, but only we know what it means. I love it! He is so thoughtful and good to me! I am a God who heals. I heal broken bodies, broken hearts, broken lives, and broken relationships. My very Presence has immense healing powers. You cannot live close to Me without experiencing some degree of healing. However, it is also true that you have not because you ask not. You receive the healing that flows naturally from My Presence, whether you seek it or not. But there is more–much more–available to those who ask. . . . When the time is right, I prompt you to ask for healing of some brokenness in you or in another person. The healing may be instantaneous, or it may be a process. That is up to Me. Your part is to trust Me fully and to thank Me for the restoration that has begun. Categories: And Faith, Healthy Living, Infertility | Tags: birthday, gluten minimized, gluten-free, hope, hot air balloon, lemon chicken, quinoa, quinoa and tomato | Permalink. My insurance covers nothing!! I have paid out of pocket for all my urology stuff. I am thinking I can still deduct it from my taxes as it could be written off not as fertility treatments, but medical treatment for urological issues. You can deduct all medical expenses over 7.5 percent of your AGI from your taxes. I don’t think it matters if it’s infertility spending or not. Save all of your receipts. I think this includes accupuncture, therapy bills, and even insurance premiums if your employer doesn’t cover them. But I’m not an accountant, so you should check on those things. And yes, infertility is awful! How sweet is your husband for getting you that and happy late birthday – love the thoughtful gift. Hope you get some clarity soon and lastly love love love that JC, I posted it on my blog last year and was so excited to read it again yesterday!!! I’m glad you’re seeing some improvement. I love the charm he got you, and happy belated birthday!! Thanks! And we are also glad for the good news. Just hoping it *is* good news. It can be so hard to tell! I love that quote from Jesus Calling, great stuff to think about in there. Also, that quinoa recipe sounds amazing. I’m going to have to try that! Yay! It’s delicious and easy. I hope you enjoy it!